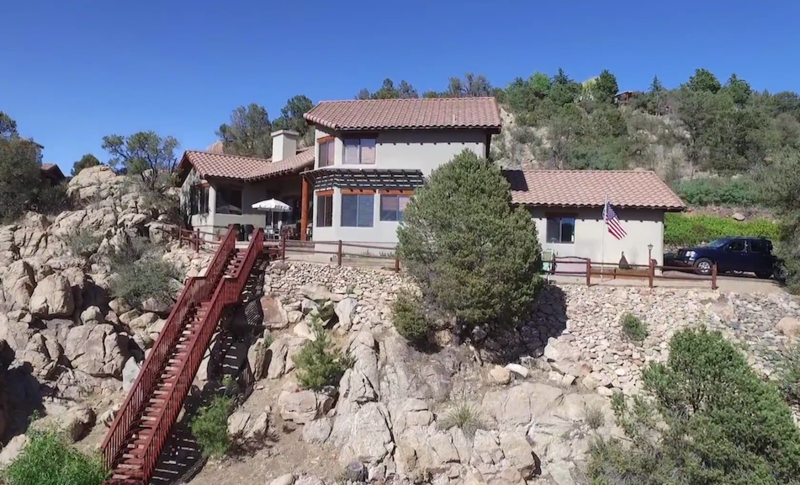 Nestled on a hilltop w/ incredible views! 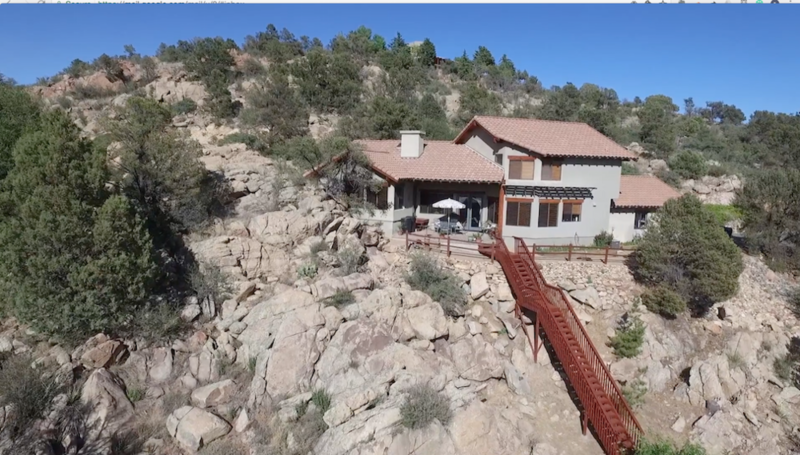 This mountainside retreat offers luxury & privacy! 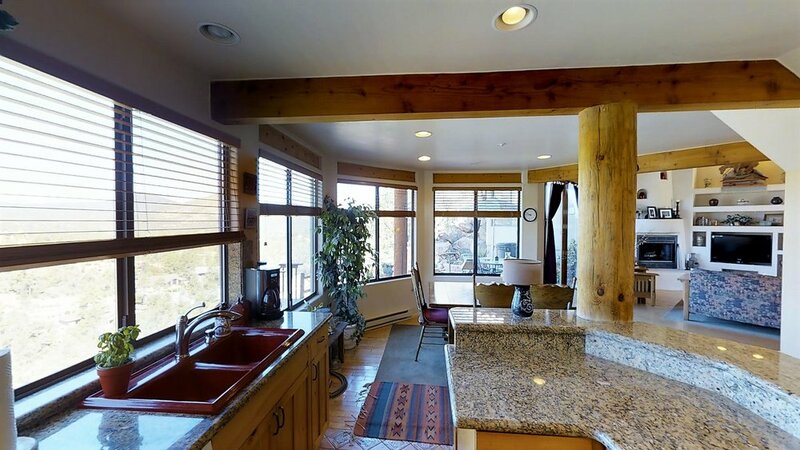 This home has exclusive touches that the discerning homeowner will love. 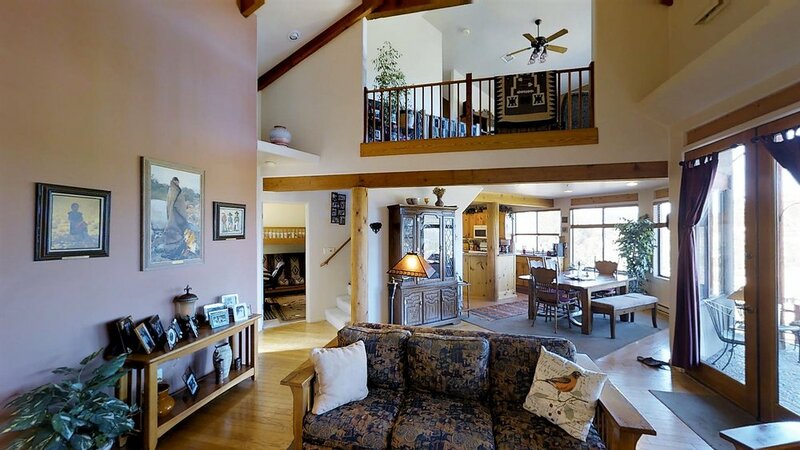 Gorgeous exposed wood beams grace the roof on the vaulted ceiling great room, knotty pine cabinets in spacious kitchen along w/ granite countertops. The spacious master suite offers amazing views, a large master bath with separate soaker tub, shower & dual sinks. This one of a kind property has incredible patios to enjoy our amazing Arizona sunsets, perfect for outdoor entertaining or dining Al Fresco. The soft rush of water from the built in water feature will be music to your ears. Follow the stairs down to the lower level for a quite seating area & walking bridge… Paved drive, 2 car garage & plenty of parking. Low maintenance stucco exterior & tile roof. 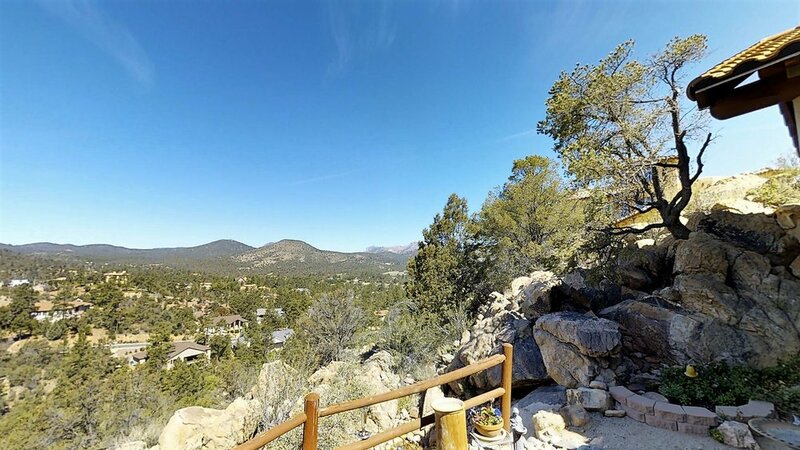 This unique space offers luxury, amazing views, & a one of a kind place to call home! Thank you we are jumping for joy that you contacted us! Beth does a little dance every time we get notice you hit the "Tell me more button"! Now, James on the other hand, is less excitable but equally happy you clicked. Beth or James Adams will contact you shortly to provide you with more information about the property! In the mean time, feel free to explore our website, find out who we are (stalkers!) and look for additional properties, however if you click on to one of the "other" sites, don't click anymore buttons! We want to help you find the right property even it this one is not it and we can answer your questions about any other homes for sale. Want to search the MLS directly? We have a special top secret site just for you! 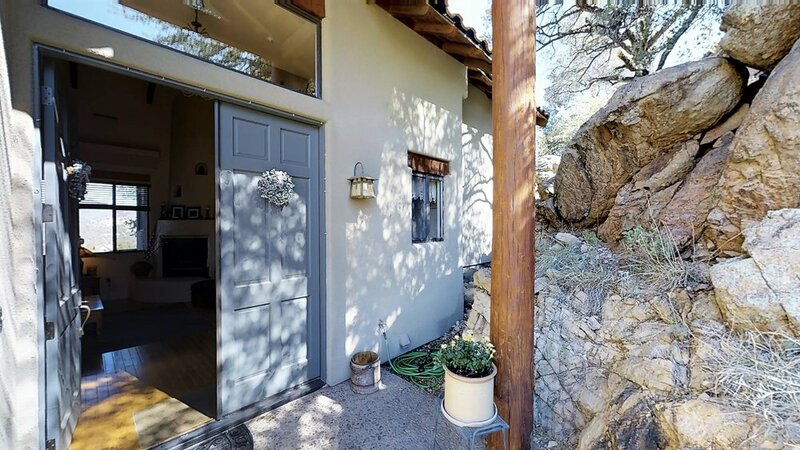 Go to www.forsalesedona.com but shhh don't tell anyone! We look forward to walking or running with you on your real estate journey!